Quote: “The GUE group's draft text “urges all EU member states … to recognize the state of Palestine on the basis of the 1967 borders with Jerusalem as the capital”. The EU Parliament motion will not be legally binding on member state governments. But as far as I can tell, most state governments will have no problem accepting the resolution as it is, for they do not recognize Israel's sovereignty in east Jerusalem or the Palestinian territories. This is a great pity, because by symbolically recognizing a Palestinian state on the basis of the 1967 Armistice lines, they are effectively cutting off Israel's negotiating position in the talks and undermining their sovereignty in the capital city. The Palestinian Authority are not going to accept anything less from Israel than what Europe can already offer them. And if Israel's authority in east Jerusalem is delegitimized then we can expect to see more attacks in the capital like we have seen in the past few weeks. Unfortunately the world media have virtually justified the recent Palestinian Muslim atrocities committed against Israeli civilians by blaming them on Israel's 'illegal occupation' of east Jerusalem. Instead they should recognize them for what they are, religiously motivated attacks that are carried out by Islamic terrorists who have been indoctrinated by a corrupt Palestinian Arab leadership that is bent on the annihilation of Israel and the Jewish people. The idea that granting the Palestinian Arab Muslims a state of their own will somehow bring peace to the region is extremely misguided. With Hamas in Gaza, Syria and Iraq in total chaos, Lebanon with 80,000 missiles aimed at Israel, Iran on the verge of nuclear weapons, Libya and Tunisia under the control of Al-Qaeda, how can creating yet another Arab state ever bring peace to the region? It is Israel's presence that has actually prevented the 'West Bank', Judea and Samaria, from falling into the hands of more ruthless Islamic militants. Giving the Palestinian Arab Muslims their own state will only bring terror much closer to the only true democracy in the Middle East. Before 1947 there was no aspiration for creating a Palestinian state. In reality the only reason for wanting to create a state now is to eradicate Israel, thus fulfilling the teaching of the Qur'an, that Islam will one day conquer the world. Jewish control of Jerusalem and the former Islamic territory of 'Palestine' contradicts that teaching. Unfortunately the Bible says things are going to get a lot worse before they get better. The prophet Zechariah foretold a day when Israel's enemies would be in siege against Judah and Jerusalem (Zechariah 12:2-3). The area allocated to the tribe of Judah in Old Testament times is the southern half of what is now called termed the 'West Bank'. 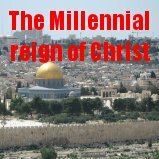 Zechariah and the book of Revelation in the New Testament predict that immediately prior to the return of the Messiah, the city of Jerusalem will be redivided will be trodden underfoot of the nations for a three and a half year period. This period is known in the Bible as the 'great tribulation'. It will be a terrible time for Israel and the Jewish people. The prophet Jeremiah calls it the time of “Jacob's trouble”, Jeremiah 30:7. The prophet Daniel says it will be a time of tremendous suffering for the nation of Israel (Daniel 12:1). The Lord Jesus Christ added in the gospels that it would be unparalleled in world history (Matthew 24:21). It will be Satan's last attempt at preventing God's promised redemption being realized. Satan knows that the restoration of this planet in its relationship with its Creator is wrapped up in God's promises to the Jewish people. Satan has tried on many occasions to prevent God's promises being fulfilled. 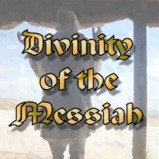 He has tried to destroy the bloodline of the Messiah and prevent His coming into this world. He has tried to destroy the Messiah before His work of salvation could be completed. He has tried to invalidate God's promises by destroying the people the Messiah is to rule over, the nation of Israel and the Jewish people. And He has tried to take control of the place the Messiah is to reign from in a coming day, the Temple Mount. Praise God that Satan has failed on every occasion, and will continue to fail. But as you can see, the battle for Jerusalem is hotting up. The fact that the European Union is now effectively saying that Israel has no part in east Jerusalem and the Temple Mount shows us just how close we must be to the Messiah's soon return. Now we are not saying that God doesn't care for the Palestinian Arabs. God has a plan for them too, but not in their own state. God gave the descendants of Ishmael much land, but this particular land He has given to the Jewish people. The Bible prophesied that when God would bring the Jewish people back to the land of Israel, that He would leave in the midst of them an afflicted and poor people who would trust in the name of the Lord (Zephaniah 3:12). I believe that is the Palestinian Arab people. The prophet Jeremiah also records that if these people are prepared to learn the ways of God's people, they will be established in the midst of the land. But if not then God will pluck up and destroy that nation. Thus saith the LORD against all mine evil neighbours, that touch the inheritance which I have caused my people Israel to inherit; Behold, I will pluck them out of their land, and pluck out the house of Judah from among them. And it shall come to pass, after that I have plucked them out I will return, and have compassion on them, and will bring them again, every man to his heritage, and every man to his land. And it shall come to pass, if they will diligently learn the ways of my people, to swear by my name, The LORD liveth; as they taught my people to swear by Baal; then shall they be built in the midst of my people. But if they will not obey, I will utterly pluck up and destroy that nation, saith the LORD. There is hope for the Middle East today. It is only through the person of the Lord Jesus Christ. He is the “Prince of Peace”, and “of the increase of His government and peace there shall be no end”, Isaiah 9:6-7. The Bible says He has also made peace between God and man “through the blood of His cross”, Colossians 1:20. It is through His sacrifice for sin that we can have peace with God. And how can we have this peace? Accepting by faith that He bore the punishment for our sins when He died upon the cross. “Therefore being justified by faith, we have peace with God through our Lord Jesus Christ”, Romans 5:1. Have you got this peace? 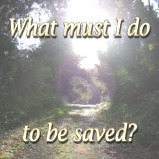 Why don't you turn away from whatever human efforts you are trusting in to try and make you right with God, and realize that God's work of salvation has already been finished. Believe on the Lord Jesus Christ and you shall be saved (Acts 16:31).